While the obesity rate among Charlotte-Mecklenburg K-5 students hovers around the national average, it falls well short of the target numbers for a healthy population, according to a multi-year study led by UNC Charlotte researchers. Department of Public Health Sciences professor Beth Racine and a team of scholars evaluated the outcomes of Achieve 225, a program designed to promote physical activity and nutrition in schools. Achieve 225 aims to improve health and learning by implementing recess and classroom activities to help students get 225 minutes of moderate to vigorous physical activity (MVPA) a week during school. North Carolina schools are required to provide 30 minutes of MVPA daily. More than 17,000 students in 30 CMS elementary schools participated in the project between 2014 and 2016. 43% of participating students met the 30-minute requirement, with students in higher income schools being 1.5 times more likely to meet the requirement than their peers in lower income schools. The obesity rate for Achieve 225 schools was 17%; 5% is the expected rate among a healthy population of children. 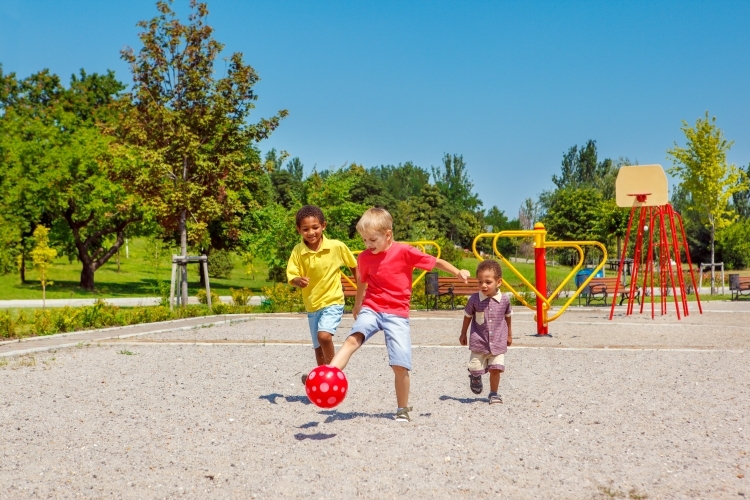 While no subgroup of children evaluated met recommended targets for weight status or physical activity, children attending low-income schools were at greater risk for poor outcomes. The findings from the CMS study help explain the poor health status of American children. According to a report by the Organization for Economic Co-operation and Development, American children rank particularly poorly in areas of material well-being, health and safety, and educational well-being compared to other wealthy countries. The school district is taking steps to address shortfalls revealed in the data, according to Kim Cooke, Health and Physical Education Specialist at CMS. To measure MVPA, students received pedometers to wear for four consecutive days twice during each school year. Researchers identified students as having achieved 30 minutes of MVPA per a day if they had on average 4,600 steps or more during each school day that they wore the pedometer. Body mass index was calculated using height and weight measurements taken by physical education teachers twice a year. Racine says researchers are working on research analyses examining the relationship between student physical activity and school absenteeism, school suspension and academic performance. They also hope to work with CMS and Mecklenburg County Parks and Recreation to evaluate physical activity programs that they implement in the community. Evaluation Project Director Jenny Hutchinson and Charlotte Research Scholar Angela Holland contributed to UNC Charlotte’s analysis of Achieve 225.